Puckheads can hit the ice with their custom teams online for the first time beginning September 10. 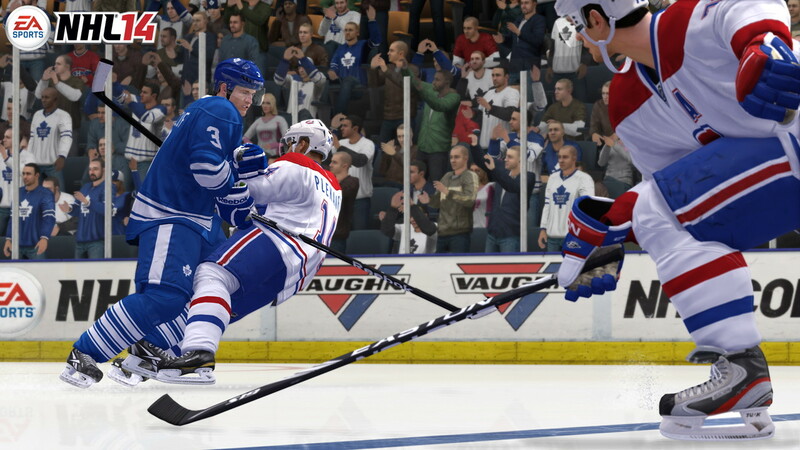 EA Sports is bringing its popular Online Seasons mode to Hockey Ultimate Team in NHL 14. The most played game mode in EA Sports NHL, Hockey Ultimate Team allows players to build their ultimate fantasy team from more than 4,000 players from leagues around the world, and compete with other players to prove their team is the very best. Online Seasons: The best-in-class promotion and relegation system developed by EA SPORTS FIFA is now part of the Hockey Ultimate Team experience. Win games and advance to the next division to face tougher competition, but fall short and be bumped down in the ranks. Teams will be able to track their progress across multiple seasons, always shooting for a move up the standings. Auction Assistant: One player can change everything and even the best GMs in the NHL need a little advice from time-to-time on how to get that player. The new Auction Assistant feature will display key information such as average price range, rarity rating and availability of a particular item in the auction house. EA Puck Rewards Everywhere: You can now earn EA Pucks, the in-game currency for Hockey Ultimate Team, by completing games in other game modes like Play Now or Online Versus mode. Similar to games played in Hockey Ultimate Mode, you will earn pucks based on your performance at the end of a match. You can then redeem those pucks and use them in Hockey Ultimate Team. Returning Hockey Ultimate Team users from NHL 13 who create a Hockey Ultimate Team in NHL 14 will be eligible to receive a one-time bonus of up to 150,000 EA Pucks in NHL 14.